The Health app gives an easy-to-read dashboard of your health and fitness data. 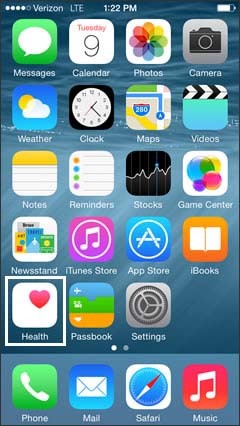 The Health app requires iOS 8 or later on an iPhone 4S or later. From the Home screen, tap Health. 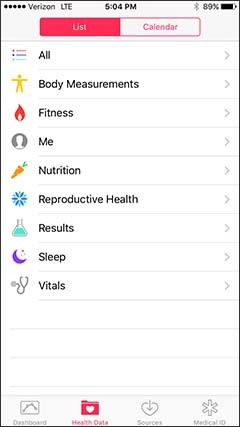 Tap the health data type then view, enter or select the appropriate health data into the applicable fields. 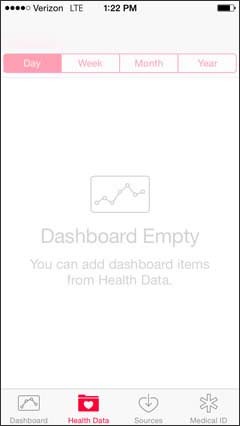 Access all the health data types on one screen. For additional info, refer to Apple article: Use Health on your iPhone or iPod touch.